A fearless, intelligentand yet humble legislator. Jessie Fungayi Majome is one of the few Movement for Democratic Change (MDCT) candidates who retained her parliamentary seat as a member of the opposition in the controversial July 2013 elections. Because they were so severely decimated in those elections,the MDC ws not expected to make any impact in the August House. However as MP for Harare West, Jessie Fungayi Majome proved that making an impact in the legislature is not only about numbers but about dedication, boldness and courage. In May 2015 Majome publicly asked why President Mugabe was violating the Constitution by not giving his State of the Nation Address for years as stipulated by the Constitution. She then stood her ground against Mugabe’s allies’ attempts to protect him. Majome was threatened for exposing Mugabe’s violation of the Constitution but her pressure forced Mugabe to address both houses of Parliament in August 2015. The humiliation of Mugabe at the hands of Jessie Majome did not escape the attention of the Central Intelligence Organization. In August 2015, as Mugabe was delivering his speech during the opening of Parliament, Jessie Majome was one of six MDCT legislators who received deaths threats warning them not to disrupt Mugabe’s speech. She was also threatened by the police for taking photos of police harrassment of citizens outside Parliament. In December 2015 Majome received the People’s Choice Human Rights Defender of the Year trophy at a community human rights award ceremony jointly hosted by ZIMRIGHTS and the Election Resource Centre. Hon. 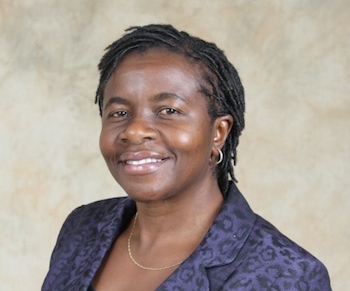 Jessie Fungayi Majome has not only fought and overcome gender stereotypes in Zimbabwean politics, she’s managed to give the opposition a very strong voice in Parliament, despite the threats. Giraffe Heroes Zimbabwe pays tribute to Hon Majome for her tireless efforts to promote democracy in Zimbabwe.